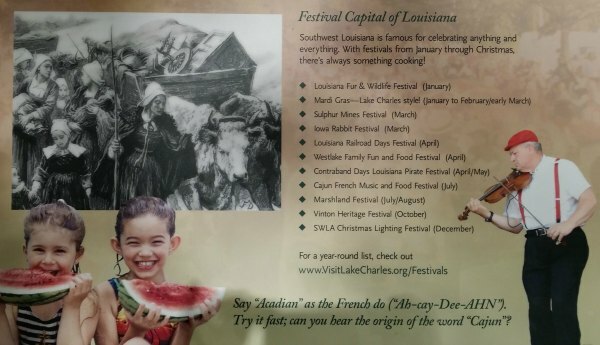 The Creole Nature Trail in Southwest Louisiana is one of the United States’ designated “All-American Roads.” With 180 miles of roadways, visitors can experience the culture, food, music, outdoor adventures and native wildlife of the region. I’ve explored portions of the trail twice and can honestly say it’s unlike anyplace else in the world. 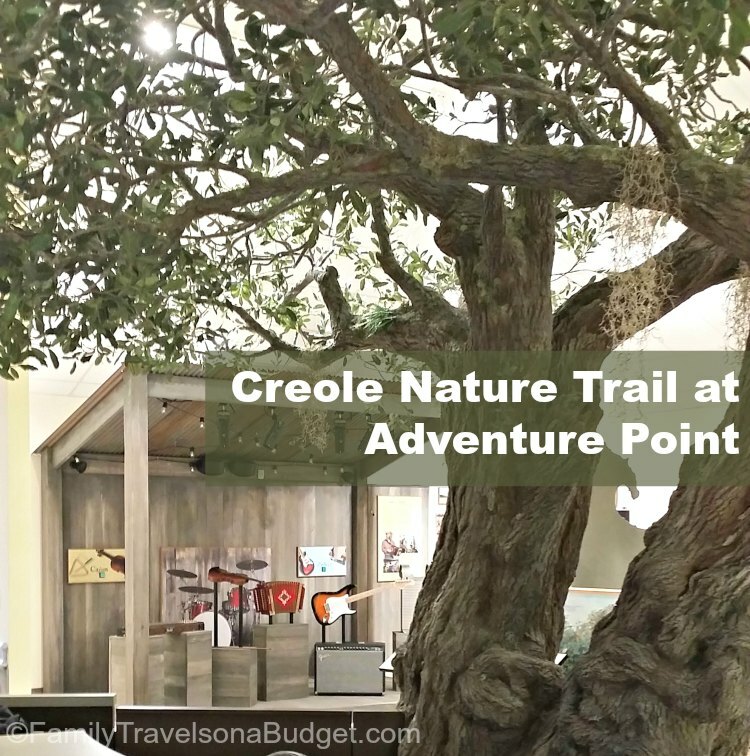 New in 2015, the Creole Nature Trail Adventure Point is a fun, free attraction along the western gateway of the Creole Nature Trail All-American Road. 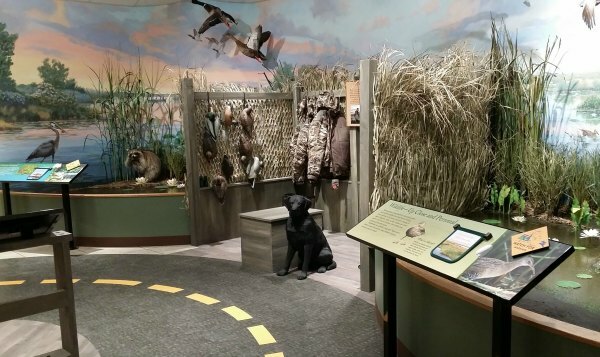 Designed to provide an educational, immersive experience showcasing Southwest Louisiana, the exhibits highlight everything from the marshland to the spices and music of the region. Each exhibit is informative, but also designed for hands-on exploration by kids — and kids at heart! 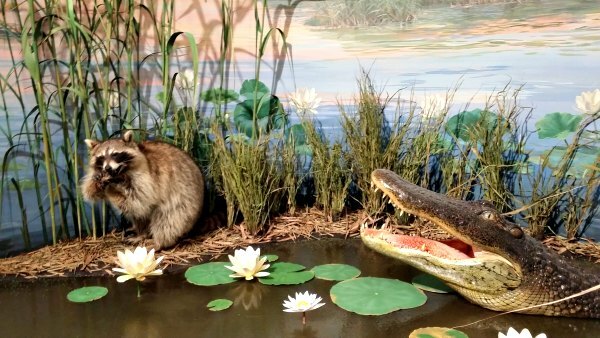 Photos don’t do this place justice as each exhibit at Creole Nature Trail Adventure Point is designed to fully immerse visitors in the culture of Southwest Louisiana. Dress in hunting gear. Sniff the spices used in Creole cuisine. Play the washboard — essential to the zydeco sound. Then, head out on the trail with the interactive app to explore the region and see it all again ~ in its real life setting! The “trail” winds through the exhibits, telling Southwest Louisiana’s story. Generations of history combine to create this region’s unique flavors. 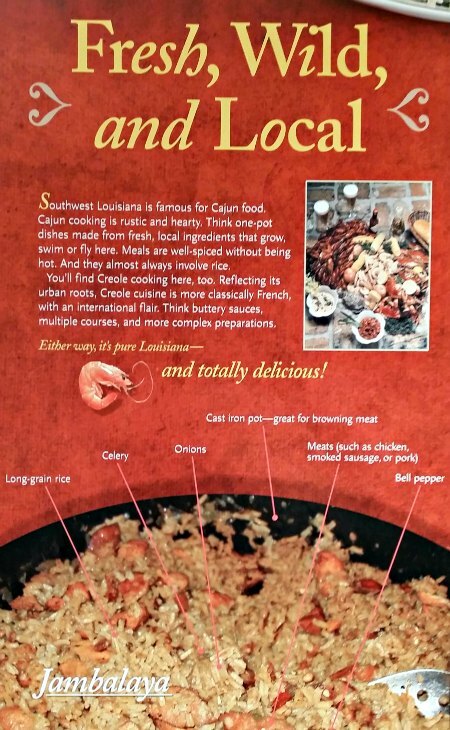 Visitors to Creole Nature Trail at Adventure Point learn what goes into Jambalaya. Ever since my first visit to Southwest Louisiana, I have appreciated the locals’ dedication to fun! I’m not at all surprised that the people here are among the happiest in the United States. Whether celebrating at a festival or just cooking jambalaya at grandma’s house, relationships and heritage are most important. If possible, stop here before exploring the Creole Nature Trail. It helps you understand what you see out there! Allow 1-2 hours to visit the center. Facility is air-conditioned (good for the deep south in summer) and has indoor restrooms. Friendly staff are there to answer questions and assist with travel plans.